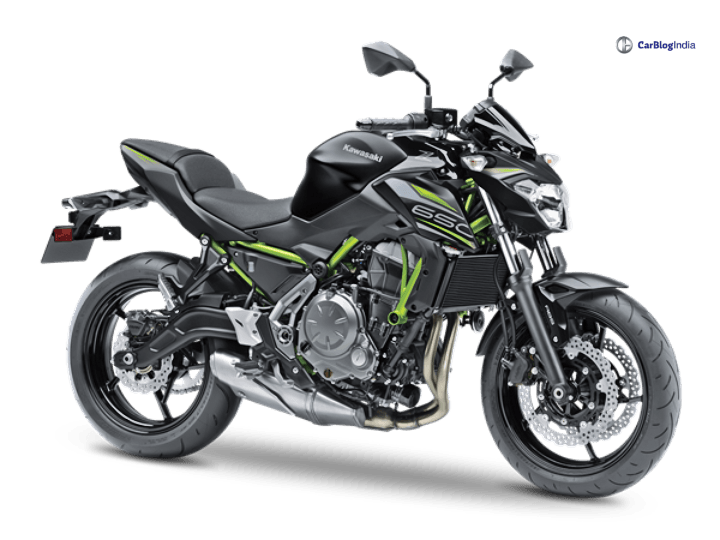 2019 Kawasaki Z650 is launched in India. The middle-weight sportsbike is priced at Rs 5.29 Lakhs and gets graphical changes from the last version. The design of this bike is influenced by the Kawasaki Sukomi design. The updated version of the Kawasaki Z650 has been launched in India. It receives some visual changes over the previous version and continues with the same engine. The updated version of the bike is priced at Rs 5.29 Lakhs (ex-showroom New Delhi). The newly updated bike is now available across all dealerships in India. It also gets new colour updates, which includes Metallic Flat Spark Black and Metallic Spark Black. The design of the naked roadster is influenced by Kawasaki Sukomi design. Powering the Z650 is the same 648cc liquid-cooled 8 valves parallel twin engine. This engine gives out 67 HP and 66 Nm of peak torque. The engine pairs up with a 6-speed gearbox. The top speed of the bike is estimated to be around 170 km/hr. Also Read: 2019 Bajaj Dominar 400 spy images reveal interesting details! For suspension, the bike uses 41 mm telescopic forks up front and adjustable mono-shock absorbers at the back. In the front, the Kawasaki Z650 gets a 300 mm disc brake and a 220 mm disc brake at the back, paired up with ABS. The Kawasaki Z650 weighs 190 kgs. It gets a fuel capacity of 15 Litres, which approximately gives a riding range of around 375 kms. The seat height of the Z650 is 790 mm and the ground clearance is 130 mm. The Sukomi design language gives more aggressive and sporty lines over the body, which in turn looks similar to the Z900 and Z1000. With the revised chassis, the bike weighs 20 kgs lighter than the previous version. Kawasaki claims that Z650 is one of their versatile bikes. They also claim that Kawasaki Z650 is useful for long tours, useful in traffic and good on the track also. The main rivals of the Kawasaki Z650 include Benelli TNT 600i and Harley Davidson Street 750.